I just absolutely loved reading this book! I wasn't supposed to read this book as far away from its publication date, but I couldn't help it, I had to read it! I've been having dreams about this book, dreams, plural, which should tell you how much it's been on my mind! After finding out that there was going to be a sequel, I wondered what this book would be about! 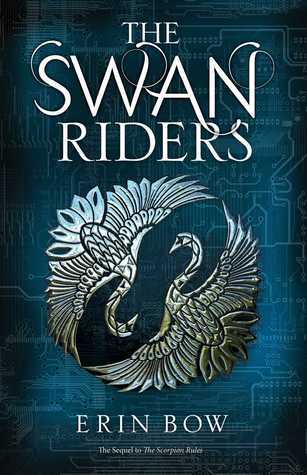 And I'm happy that it's about the Swan Riders and AIs. Loved having this world develop more, and there were a lot of twists and turns! A big part of the Swan Riders bit, was their "loyalty" bit. I really loved how that all played out, and how things weren't as they seemed! In the end, it was very simple, though it definitely wasn't easy actually pulling everything off! One thing that I did miss, was all of the students together. We really only got Greta, and I missed the others and how they were as a group! On the other hand, we got to meet a bunch of new characters! As a side note, poor Calgary! My hometown, gone! I absolutely loved reading this book, and I would love it if there were a 3rd book, I love spending time in this world so much! Reason Why: Loved the first book so much! And it's a 2016 Dystopia Book, Prequel & Sequel Challenge 2016 Book, RR Book and a WoW Book!